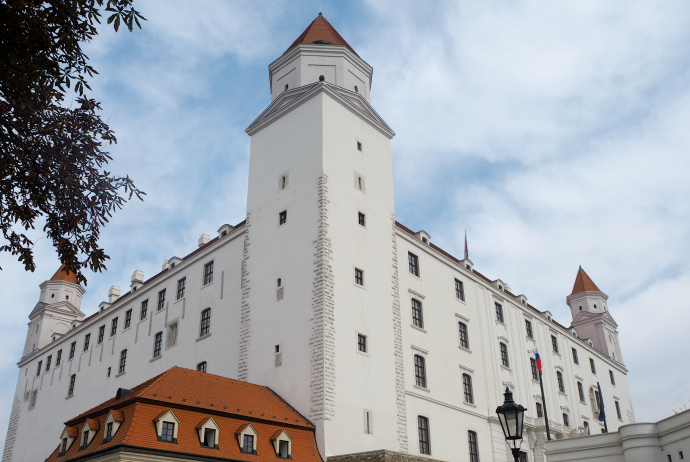 I visited Bratislava in September as part of my interrailing trip. It wasn't originally part of the route, however, one of my university friends suggested we add it in. And that's exactly what we did. 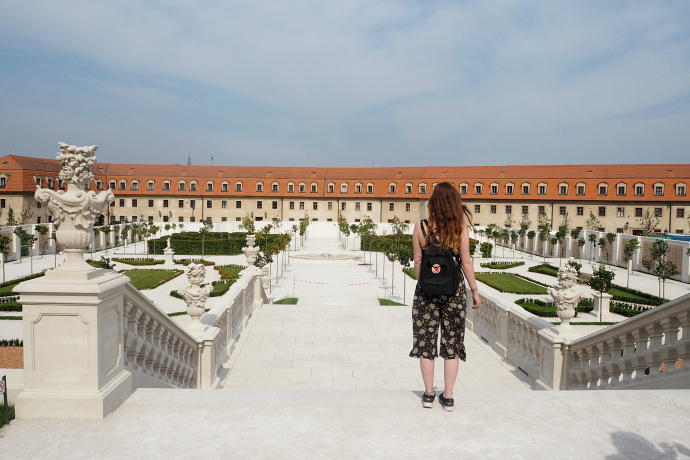 The initial plan was to go from Vienna to Budapest and then on to Bratislava but we swapped Budapest and Bratislava around so that we could go to Sparty (the thermal bath party in Budapest). This made our train journeys a little longer but didn't have much of an impact overall. 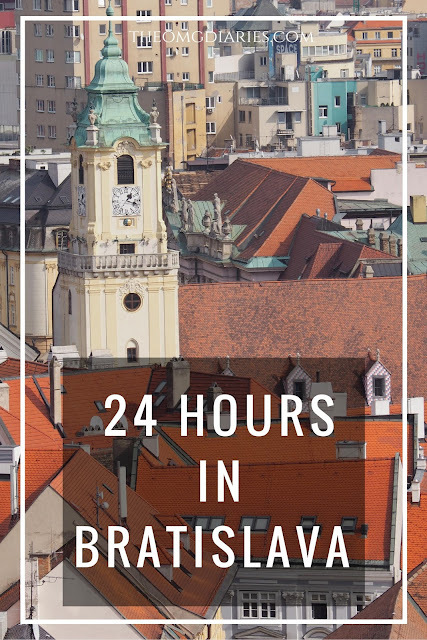 Another reason why we added Bratislava to our route was that we had a bit too much time in the places we were already going. 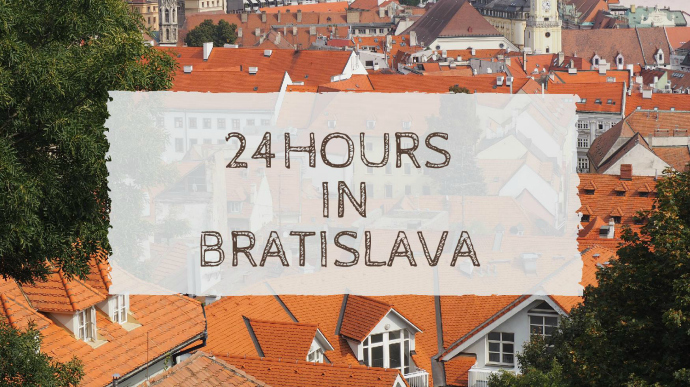 We were already scheduled to have four nights in both Budapest and Prague and an extra day in either seemed a bit too long. Bratislava seemed like the perfect add in, it didn't stray from our route very much and could be done with only one night there. This post will show you what I got up to in Bratislava and what you should do if you ever visit. We arrived in Bratislava (by train) at around 6pm. The information desk was closed but thankfully the hostel we were staying at had a poster up in the train station with directions (we had forgotten to research directions whilst we still had internet!). We then got a tram to our hostel. One thing I find odd is that quite a few countries in Europe work out the ticket price for the bus, metro and tram by time. For example, we paid €0.70 for up to a 30 minute journey. It's pretty easy to buy these tickets form machines at the tram station. To get to this from the train station you have to rear left as you exit and walk down some stairs. We didn't do this and headed straight towards the buses so had to turn back on ourselves. This sounds easy enough but when you are exhausted and have a massive backpack on any extra walking is like running a marathon. Or maybe I'm just really unfit. When you get on the tram you have to verify your ticket or it's not valid. This means that if your ticket is not validated then you might as well not have a ticket at all. In all honesty I ended up not validating my tickets in a couple of places (mostly Prague), I just forgot I had to do it! We stayed in the Blues Hostel in a three bed private room. It was in a fairly central location; it wasn't in the Old Town but was only a ten minute walk away. The room and hostel were fairly basic but if your looking for a reasonably priced place to stay then I'd recommend it. The next day we checked out at 10am and headed off to explore. 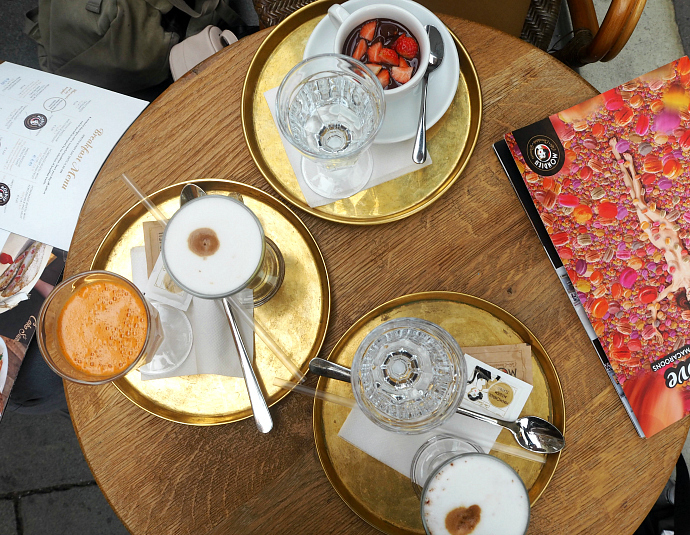 We had considered doing the free walking tour at 11 but decided we'd rather do it ourselves, partly so we could go at our own pace and partly so we could fit in a relaxed brunch before any sight seeing happened! 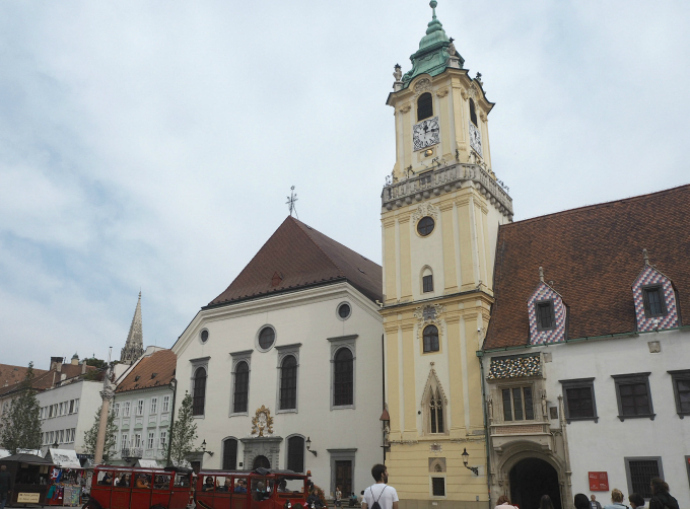 This was the first stop on our self guided tour of Bratislava. It's not in the main part of the city but rather around a ten minute walk from the Old Town area. It's well worth a visit. We only saw the outside as we weren't sure if we were allowed in or if it was even open. It's also incredibly hard to get a good picture of the church, there was just not enough space for a good full length pic hence why there isn't one in this blogpost. 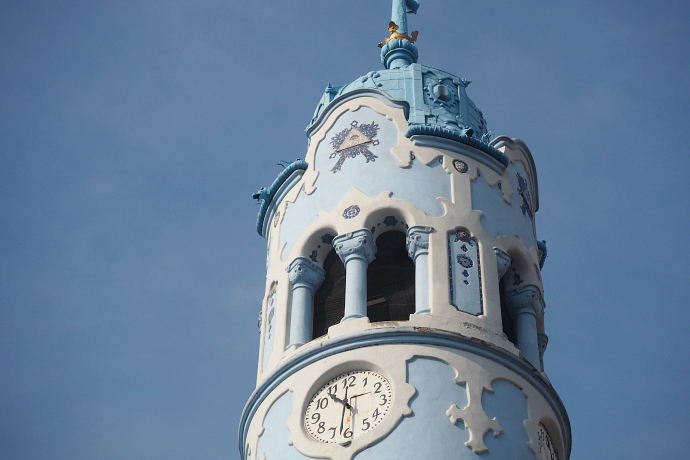 But at least I have my memories of the blue church! 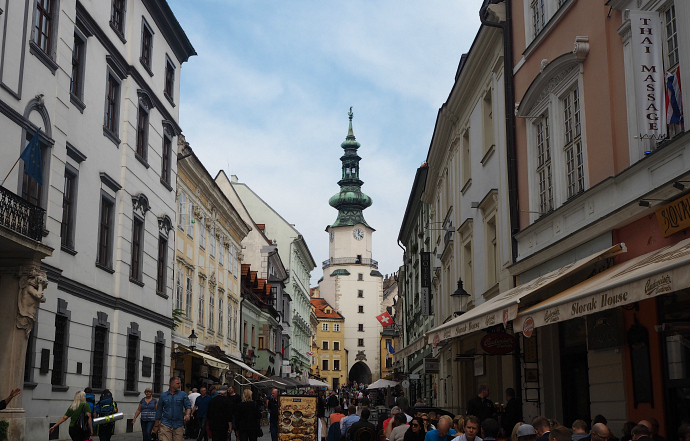 Bratislava was one of the places I visited where I was pleasantly surprised. Because it had been added onto our route I hadn't done very much research at all. I had not particularly stalked the location on Instagram so had no idea how pretty Bratislava was. It wasn't until we got into the main area (and of course visited the blue church) that I really started to appreciate how nice it was. The old town is full of shops and cafes and of course lots of nice buildings to looks at. The map we were using had a little picture of each of the key buildings so we walked around ticking these off. The one in the picture above is Michael's Gate. 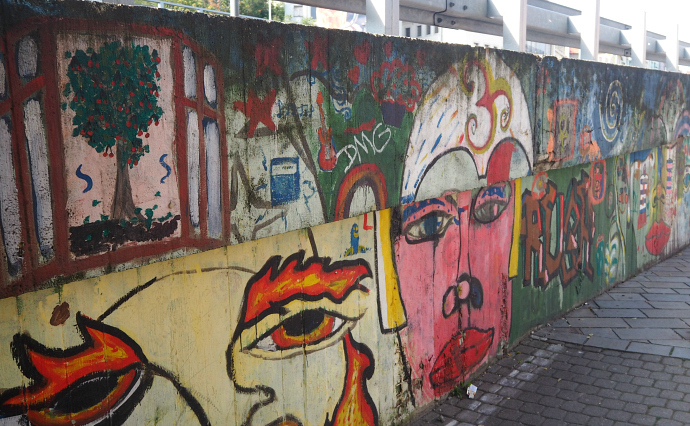 On the edge of the Old Town you'll find quite a lot of graffiti. This is great for pictures and having a break from all the buildings! 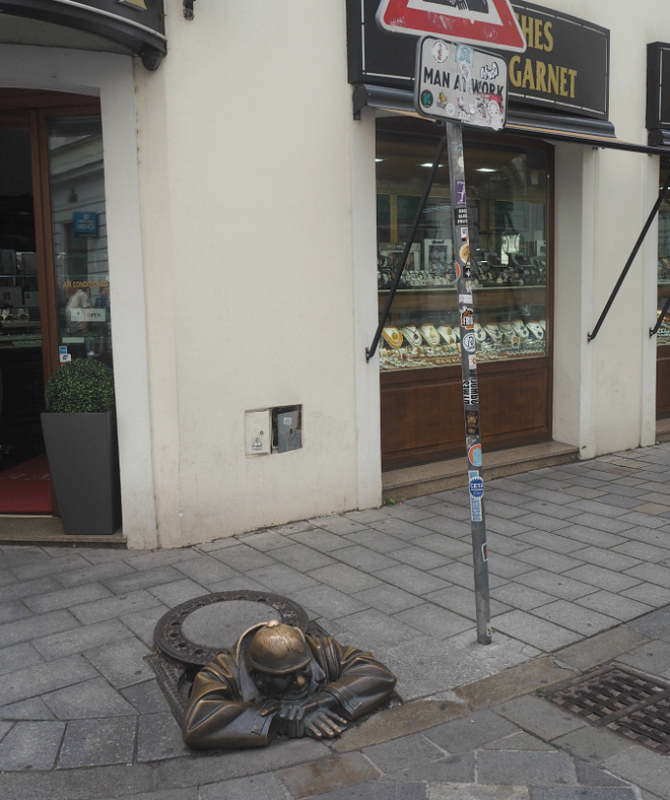 No trip to Bratislava is complete without a picture of the 'Man at Work'. You'll find him in the Old Town area but in all honesty I can't tell you exactly where (bad blogger I know) because we stumbled upon him. We were trying to find a souvenir shop so I could get a postcard when we saw a small crowd of people. Of course we headed over to see what the crowd of people were looking at and there he was! We ended up walking up to the castle a really long way so I'd recommend having a screen shot of a route there rather than using the map you get from your hostel which is not quite to scale. We didn't pay to go into the castle itself but we walked around the grounds. Because it was such a nice day we stayed around the castle for quite a while and sat on the wall that looked over the city listening to Frank Ocean and just enjoying the view and sunshine. The castle has some lovely gardens (shown in the picture below). I loved all the white statues and floor, partly because it was so Instagrammable! Yep, typical blogger right there. On our first (and only) evening we didn't do anything apart from go for dinner. We ate at Bratislavský Meštiansky Pivovar. Yep I have no idea how to say it either! The food was very good and the portions were massive! After being in Austria, which we all thought was pretty pricey, it was great to get such good portions for a good price! My dinner cost me just over €7 but considering the portion this was a bargain! The restaurant was also a brewery so we ordered a beer to share. The beer was €2.10 which is also very reasonable. I'm afraid I didn't get any pictures of the food here, I was way too hungry for the blogger in me to function. The next morning we found a really cute cafe which was perfect for brunch. It was very reasonably priced. It was named Mondieu and turned out to be a cafe chain as we spotted a couple more on our explore. They had so many chocolate themed drinks including actual chocolate shots with strawberries and chocolate coffee. 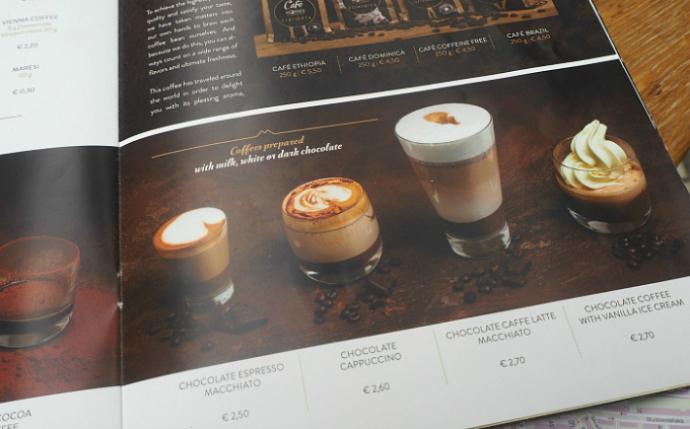 I had the chocolate caffe latte macchiato (that's a bit of a tongue twister!) and it was extremely yummy. The cost of the menu ranged from €2 for a croissant to €6 for a bigger breakfast. Nothing on the breakfast menu was over €6 which I think is pretty decent. 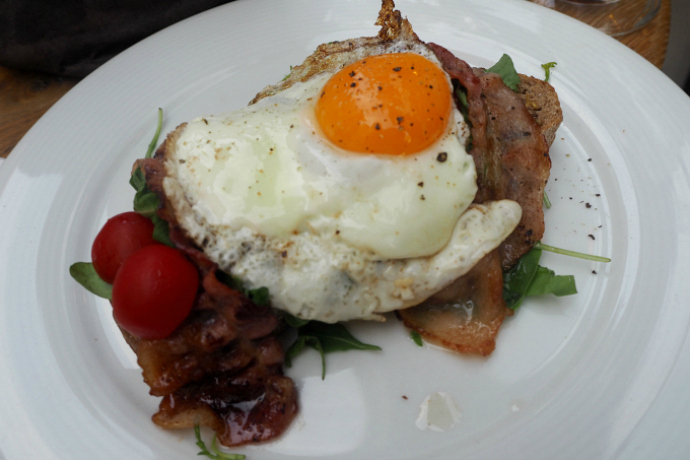 And bonus, the food was actually great; I had the egg and bacon toast (which totally had a fancier name but I didn't note it down). 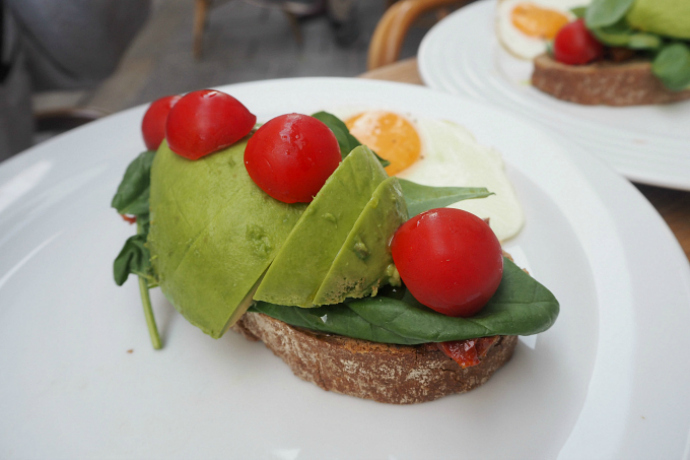 My friends Soph and Tilli had avocado toast which looked amazing; look how green the avocado is! They also offered salads and crepes. The salads were pricier but none were above €10. 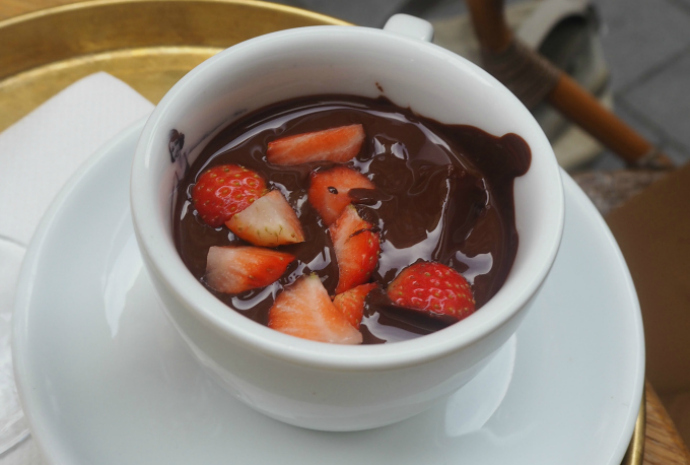 While it wasn't traditional food or a particularly cultural experience I would still very much recommend stopping off at a Mondieu cafe even if it's just to have a coffee (or chocolate shot). We also ate at a place called Lemon Tree Sky bar which, as the name suggests, is a rooftop bar. We initially planned on just going here for a cocktail and to enjoy the view but our visit coincided with dinner time (and we were all starving) so we decided to eat here as well. The food here is pretty pricey but I think this is to be expected due to the kind of place it is. Soph had Pad Thai around €9 while I had some chicken skewers (€7). It's not exactly great for those on a budget but we didn't mind spending a bit more to enjoy the view. If you have more time or plan your day better than we did then I'd recommend coming here just for a drink as you can definitely get food that's just as good elsewhere for cheaper. It was great to come here in the day but I also think the view would be fantastic at sunset. The bar is only small so I imagine it can fill up very quickly. Luckily, we got a seat outside overlooking the castle but we went at around 3 p.m meaning it wasn't prime time. The cocktails weren't that cheap but I think this is to be expected. Mine was €7 which I'd say is the standard price in the UK. The cocktail I chose was a Lychee Vodka one and it was AMAZING! I wouldn't normally go for lychee but the waitress recommended it and I'm glad she did. After our cocktails we wandered back through Old Town towards our hostel. After a quick rest at our hostel we made our way back to the train station; this time we knew exactly how to get there! We did nearly miss the tram there though because we had to buy tickets and the tram pulled up as we were doing so. Thankfully, there were lots of people wanting to get on so we hung back a little then managed to jump on and get still get a seat. We nearly decided to risk it and just jump on without a ticket but it's a good job we didn't as there was a man checking tickets. This was the first time I'd seen anyone check for tickets on the whole trip. We eventually got to the train station and headed off to our next destination, Budapest. 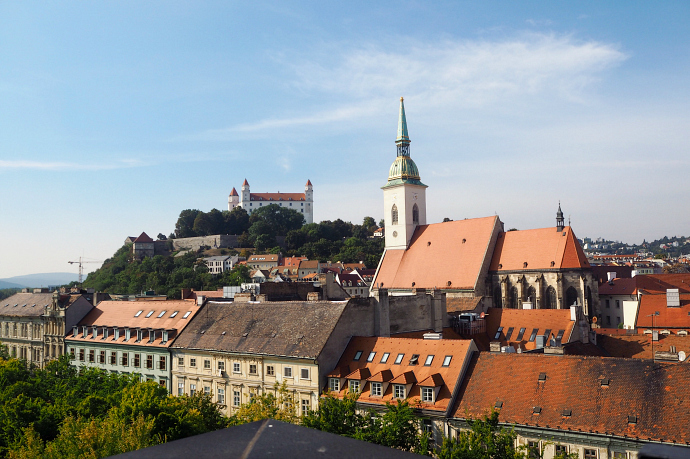 Bratislava is well worth a visit even if it's just 24 hours like mine. Don't let lack of time put you off! 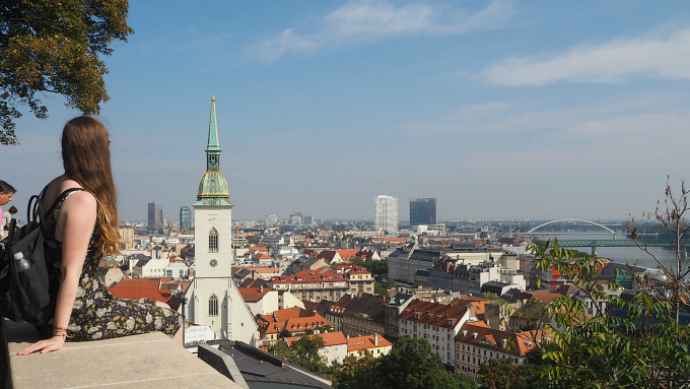 Have you visited Bratislava? 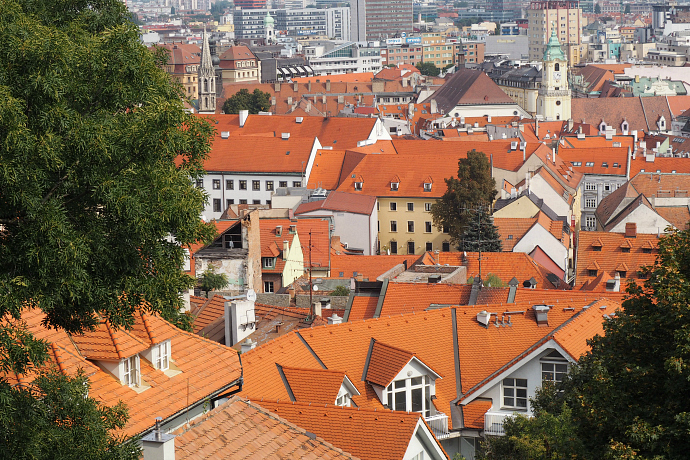 What did you think of Slovakia's capital?